In accord with the regulations of the Ministry of Foreign Affairs (MFA) of Iran, most citizens from Europe (except British) can get two weeks tourist visa on arrival at IKA International Airport. Mt Damavand ski and snowboard tour. Best ski and climbing tours, Tehran off-piste ski and snowboard expedition tours. Winter climb and and ski touring with the experienced Iranian guide. 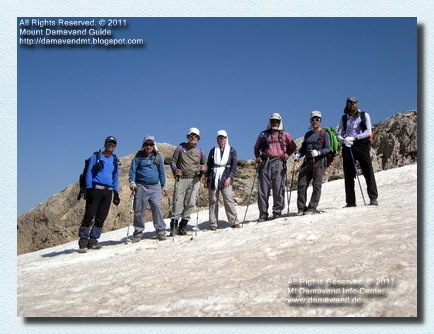 Iran trekking, mountaineering and climbing tour organizer. We offer visa support only to our clients who have registered for full package Damavand Tours. Please remember we are not an Iranian visa agency and we are not interested to support any other visa request/application. who intend to climb Damavand, can get a 30 days visa. The Iranian Tourist Visa is issued for foreign citizens to visit Iran or to meet their friends and relatives. You may get a tourist visa in different ways, it all depends on your nationality, the country of you birth/residence and which embassy/consulate you refer to. 1- Going directly to Iran embassy. 2- Get a Visa On Arrival (VOA). 3- Take your visa by an invitation letter. 4- Receive a visa by a reference number (also called Visa Authorization Code). Please note, these rules may change quickly without any prior notice. Generally the visa validity is for a period of 3 months from the date of issue and can be extended in Iran. In accord with the regulations of the Ministry of Foreign Affairs (MFA) of Iran, most citizens from Europe (except British) can get two weeks tourist visa on arrival at IKA International Airport. But if you come to Iran by land you need to get your visa in advance regardless of your nationality. If you intend to use VOA, it is recommended to check the latest news through embassy of Iran in country. We offer this service only to our clients who have registered for a full package private tours. Participant who need this support should apply ASAP to enable us to get their visa in time. When you apply for Iran's visa, most consulates ask for a so called reference number or visa authorization code from the MFA in Tehran. To get this reference code, you must apply through an Iranian travel agency, this procedure takes about 2-4 weeks time, so the sooner you start the process the better, the code is only valid to the consulate as mentioned in the application forms. After receiving it, you will be informed by email. Having this number is the main step in the visa procedure and the rest is easy. By that code you refer to the embassy of Iran in your country with the necessary documents and your passport may be stamped with Iran's visa in the same day. Multiple visa application in any shape is not recommended and may cause a refused visa. This service is for those clients who have registered for a full package private tours. There are some restrictions to get Iran's visa by ordinary invitations letter from travel agency/company/person, the usual way to get a visa is to apply through some authorized travel agency in Iran to get a reference code, and most Iranian embassies do not accept such ordinary invitations letters, but there are some exceptions in the Iranian embassies and consulate which accept invitation letter instead of reference code to issue a visa. Before starting the visa process, applicants should register for a tour and pay the deposit. See also Deposit Policy. Copy the following visa form and paste it to your email client, complete it with the necessary info and send it by email together with a scanned copy of first page of your passport, only the image of the page which your photo is attached, each person need to fill in a separate form and send a separate copy of passport. The image of passport should be clear, in JPG format and the size should not be more than 40KB. Make sure to enter the correct information, it should match the second form which will be submitted to the consulate later. The cost to get a visa reference code is 50 Euros per person and it is different from the visa fee which you must pay to the consulate/embassy when they stamp the actual visa on your passport. The charge for visa reference code is paid to the travel agency for your visa application to Iran Ministry of Foreign Affairs and it is not refundable in case of any cancellation or if visa request is turned down. After receiving your info and documents, we apply to the Iran MFA visa section for the Reference Code, the process will take about 2-4 weeks time and when they give us the Reference number, we will email you the code, by that code you ask your nearest Iran's embassy, in a few days process, your passport will be stamped with Iran's visa. The code is valid only for 3 months from the date of issue. Address: Ministry of Foreign Affairs, Tehran – Iran. Iran Visum für Damavand Ski- und Snowboard Tour. Iran Visum Kletter- und Trekkingtouren. Visa Unterstützung für Damavand Trekking. Visa für die Reise nach Iran. Wandern Expedition Tour Visa unterstützt Iran. Iran Visum Skitouren in den Iran Skigebieten. Persien kulturelle, historische Nomadenreisen Visum. Iran Visum Kosten und Preise. Iran Visa On Arrival (VOA). Iranischen Visa Autorisierungscode. Visa Referenznummer Iran.Invitation Brief für iranische Visa. Irans Visum für amerikanische Staatsbürger. Perser Visum für Großbritannien und UK Bürger. Useful links Damavand Info, Mount Damavand Guides, Damavand Weather. Iran visa for Damavand ski and snowboard tour. Iran visa climbing and trekking tours. Visa support for Damavand Trekking . Visa for travel to Iran. Hiking expedition tour visa support Iran. Iran visa skitours to Iran ski resorts. Persia cultural, historical nomad tours visa. Iran visa cost and price. Iran Visa On Arrival (VOA). Iranian Visa Authorization Code. Visa Reference Number Iran.Invitation Letter for Iranian Visa. Iran's Visa for American Citizens. Persian's Visa for British and UK Citizens. Irán visado para Damavand esquí y el snowboard gira. Irán escalada visa y excursiones de senderismo. Apoyo visa para Damavand Trekking. Visa para viajar a Irán. Senderismo gira visa expedición apoyar Irán. Irán skitours visado a las estaciones de esquí Irán. Persia, nómada histórica Cultural Tours visa. Costo visa Irán y precio. Irán visado a la llegada (VOA). Iraní Visa código de autorización. Visa Número de Referencia Iran.Invitation Carta de Irán Visa. Visa de Irán para los ciudadanos estadounidenses. Visa del persa para los ciudadanos británicos y el Reino Unido. Useful links Damavand Iran, Damavand Trek, Damavand Hike. Visa pour l'Iran Damavand ski et de snowboard tournée. Iran visa escalade et randonnées. Soutien de visa pour Damavand Trekking. 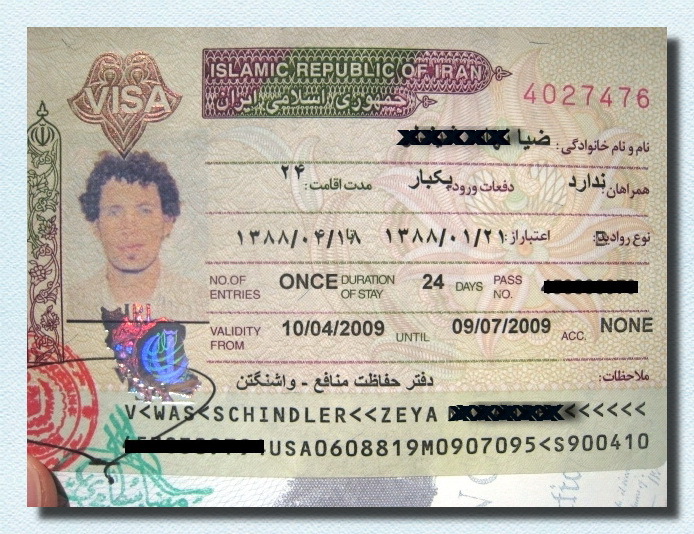 Visa pour Voyage à l'Iran. Randonnée Expedition Tour visa soutenir l'Iran. Iran visa skitours à l'Iran stations de ski. Perse culturelle, historique nomade tours visa. Iran coût de visa et le prix. Iran visa à l'arrivée (VOA). Iranienne code d'autorisation Visa. Visa Numéro de référence Iran.Invitation Lettre pour iranienne Visa. Visa de l'Iran pour les citoyens américains. Visa Persan pour les citoyens britanniques et Royaume-Uni. Iran visto per Damavand sci e snowboard tour. Arrampicata visto Iran e trekking. Assistenza di visti per Damavand Trekking. Visto per viaggi in Iran. Escursione supporta spedizione giro visto Iran. Iran skitour visti a stazioni sciistiche Iran. Persia culturale, nomade storica VISA. Costo del visto Iran e prezzo. Iran Visa On Arrival (VOA). Iraniano Visa codice di autorizzazione. Visa Numero di riferimento Iran.Invitation Lettera per iraniana Visa. Visa dell'Iran per i cittadini americani. Visa di persiano per i cittadini britannici e del Regno Unito. Iran visum for Damavand ski og snowboard tur. Iran visum klatring og trekking turer. Visum støtte for Damavand Trekking. Visum for å reise til Iran. Fotturer ekspedisjon tur visum støtte Iran. Iran visum skigåere til Iran skisteder. Persia kulturelle, historiske nomade turer visum. Iran visum kostnader og pris. Iran Visa On Arrival (VOA). Iransk Visa autorisasjonskode. Visa Referansenummer Iran.Invitation Letter for iranske Visa. Irans Visa for amerikanske borgere. Persisk sin Visa for britiske og britiske borgere. Иран виза для Damavand лыжи и сноуборд тура. Иран виза скалолазание и треккинг туры. Визовая поддержка для Damavand треккинга. Виза для поездки в Иран. Туризм экспедиция тур Визовая поддержка Иран. Иран визы skitours в Иран горнолыжных курортов. Персия культурное, историческое кочевник туры визы. Иран стоимости виз и цены. Иран Visa On Arrival (VOA). Иранский Visa код авторизации. Номер ссылки Visa Iran.Invitation Письмо иранского Visa. Ирана Виза для граждан США. Visa Персидский по Великобритании и британских граждан. Iran viza dlya Damavand lyzhi i snoubord tura. Iran viza skalolazaniye i trekking tury . Vizovaya podderzhka dlya Damavand trekkinga. Viza dlya poyezdki v Iran. Turizm ekspeditsiya tur Vizovaya podderzhka Iran. Iran vizy skitours v Iran gornolyzhnykh kurortov . Persiya kul'turnoye, istoricheskoye kochevnik tury vizy. Iran stoimosti viz i tseny. Iran Visa On Arrival ( VOA ) . Iranskiy Visa kod avtorizatsii . Nomer ssylki Visa Iran.Invitation Pis'mo iranskogo Visa. Irana Viza dlya grazhdan SSHA . Visa Persidskiy po Velikobritanii i britanskikh grazhdan .